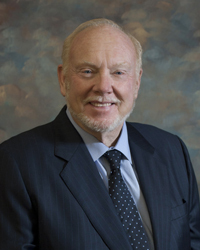 Bill brings a wealth of experience in business, construction and real estate matters to the Bay Laurel Law, P.C. He earned his Juris Doctor from the Peninsula Law School while running King Enterprises, General Contractor. After 35 years in that industry, he especially enjoys working with companies in the trades to help them build their businesses by guiding them to set sound policies and decisions for choice of entity, hiring, contracts, business succession and other legal matters. Bill served in the Air Force and has lived in Japan as well as many different cities in the United States. He enjoys annual trips to the Colorado wilderness, winemaking, sailing, flying and tinkering. He and Kathy, his wife of forty years, enjoy time at their place in the Sierras and playing with their grandchildren.